A quick scroll through her Instagram page and it is clear to see why Dr. Sara Mokhtar is an inspiration to many women across Saudi Arabia. An assistant professor at King Abdulaziz University in Jeddah, Dr. Mokhtar is more widely known in Saudi Arabia as a martial art specialist specializing mainly in Kyokushin Karate, Muay Thai, and Aikido. As an athlete at the top of her game, the 33-year-old Saudi woman has already participated in a number of competitions in the Kingdom and Australia, such as the National and International Karate Championships. According to Gulf News, this Jeddah-based female karate master officially represents and runs the only Kyokushin karate dojo in the Kingdom, where she has spent the last two years since its establishment teaching both women and children. The school is called Sarate, a combination of Sara and karate. Speaking to the news site, Dr. Mokhtar explained that, in Kyokushin karate, participants learn how to “get out of different grips without using any power no matter how big or strong our opponent is, and without causing any injury to the opponent.” Kyokushin, a unique style of stand-up, full contact karate, was founded in 1964 by Korean-Japanese Masutatsu Oyama. Japanese for "the ultimate truth,” Kyokushin is rooted in a philosophy of self-improvement, discipline, and hard training. Today, it is reported to have more than 12 million practitioners around the world. 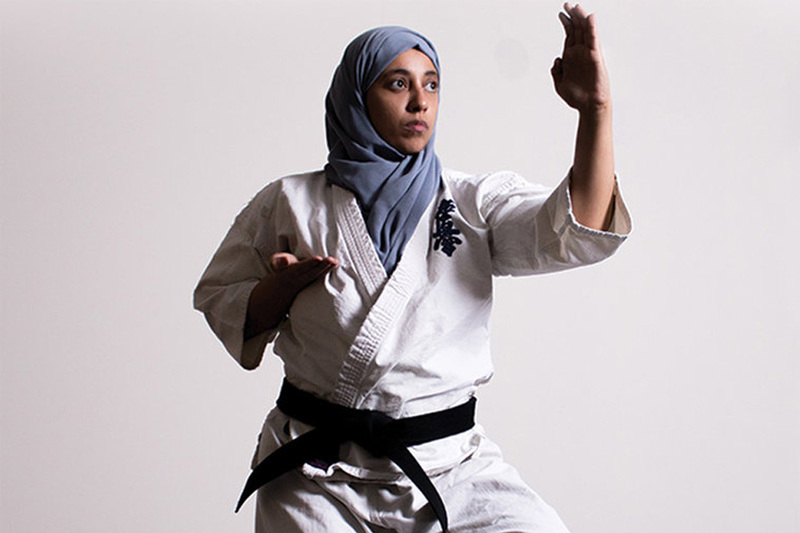 For Dr. Mokhtar, her passion for martial arts has been a long one. Ever since childhood, she has been interested in all kinds of sports, and she began her karate journey some 12 years ago when she moved to Australia for post-graduate studies in pathology. As it was her first time travelling and living alone, the young student decided to take up karate before leaving Jeddah so she would be able to defend herself if ever needed. In Jeddah, she trained for two years with a Filipino karate instructor who taught her Shotokun karate. Once she moved to Melbourne in Australia, however, she was unable to find classes that offered Shotokun lessons. So, she joined a dojo teaching Kyokushin instead and trained there until she received her black belt. After that, she pursued a certification that would allow her to become an instructor of Kyokushin, as well as Aikido and Muai Thai, moving back to Saudi Arabia soon after and setting up her dojo. “Karate is not only important for self-defense, but it also helps improve focus and patience whilst keeping you fit […] You not only develop strength in the body but also in the mind and soul,” she explained.